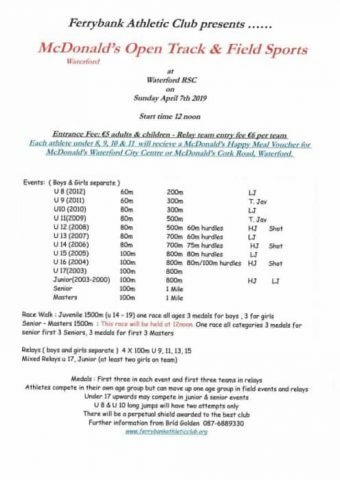 WHAT AGE CAN I JOIN GOWRAN AC? We accept new members into our academy from ages 6 (born 2012) and upwards. I DON'T LIVE IN GOWRAN, CAN I JOIN? You will need the following For training: Members are expected to come to training properly attired. This means they should wear proper “running” runners (not fashion runners) shorts, leggings or light tracksuit bottoms, with technical (poly-mix) t-shirt and a hoodie or somesuch to wear before and after training. If it raining, a light rain jacket is very useful – but luckily our skin is waterproof 😉 We recommend bringing a water bottle too. For competition: Cross Country Spikes. Cross-country races are run wearing running shoes called “spikes”. These are lightweight runners that can be fitted with spikes that vary in size depending on the conditions but typically a 9-10mm spike is perfect for most cross-country conditions. These can be purchased from Hennessy Sports in Newpark Shopping Centre. The same shoes can be used (after a clean!) for indoor or outdoor track and field, simply replace the longer spike with a shorter 4mm-5mm one. Track & Field Spikes Track & Field spikes are the same as cross-country spikes, just use a shorter 4mm-5mm spike. Gowran AC Singlet For those aged u10 and upwards, only official Gowran AC singlets can be worn in competition. Singlets are available for €20 for juvenile sizes. Other equipment We can help source a range of training equipment for home use, such as TurboJav, Shots and Hurdles – just ask your coach. How do the age groups work in athletics? Athletes compete in under age groups based on their year of birth. So all kids born in the same year compete in the same race. In 2019, it works like this. In general, in track and field competitions- athletes can only compete in their own age group. In cross country, athletes can compete in their own age group, this is called being in-age, and the next age group up, called out of age.